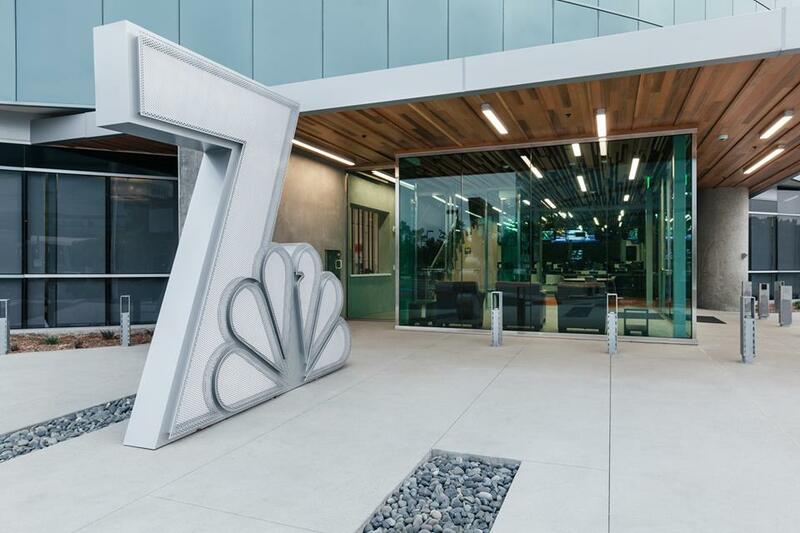 After 15 years in downtown San Diego, a ribbon-cutting ceremony was held Wednesday for the NBC7/39 studio in Kearny Mesa. 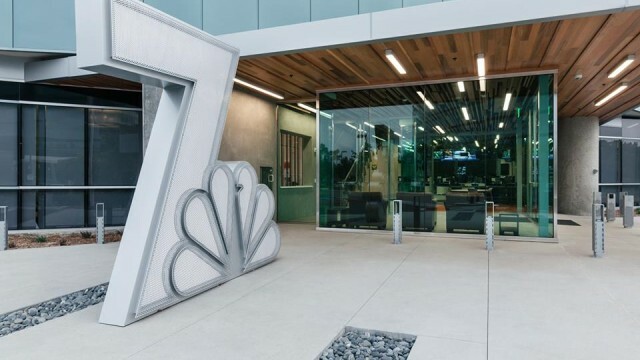 “We are proud that NBC 7 has returned to Kearny Mesa, the neighborhood where the station aired its first newscast 50 years ago,” said Richard Kelley, the station’s president and general manager. The station was based in Kearny Mesa for decades before the move to a downtown office building adjacent to Horton Plaza in 2001. The two-story, 52,000-square-foot facility includes a multi-screen wall that is capable of displaying video and images across various types of layouts, a wireless camera and audio system to shoot live video anywhere on the property, and a couple hundred miles of wires and cables. “You’re helping keep our city informed, you’re helping (to) entertain and, I think most importantly, you’re helping to keep San Diegans inspired,” Mayor Kevin Faulconer said at the event. The building also includes solar panels, a 250 kilowatt natural gas fuel cell, LED lighting and low-flow water devices.